In the course of our practice it often becomes necessary to refer our patients to various medical specialties. It is very common for patients who are injured at work or involved in various types of accidents including automobile accidents to require the services of an orthopedic surgeon. Our referred orthopedic surgeons are highly qualified, trained in the latest medical skills and technology, and have great rapport with our patients. All our referred orthopedists utilize conservative non invasive treatment options prior to a discussion regarding surgical intervention. Surgeries are performed with the latest orthopedic and arthroscopic technology, and post operative regimens are discussed with patients prior to surgical procedures. Our referred orthopedic care focuses on treatment and rehabilitation of conditions to restore function to the injured area. The focus is to return the injured area to optimal function and performance to permit an active healthy lifestyle. 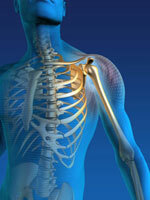 In addition, all our referred orthopedists are both Board Certified and Workers’ Compensation Certified. Remember, if you are hurt at work you can be treated for free and receive compensation for your lost wages if unable to work. When you return to work you can still receive treatment at no cost. All our referred orthopedists are extremely efficient and competent at documentation of all your injuries. They know how to handle the paperwork and billing properly so that our patients may receive their needed compensation. Whatever your injury may be, Dr. Mollins will always have a competent, caring doctor to assist you and get you back “moving”.